China has now overtaken New Zealand to become largest inbound visitor market in Australia. 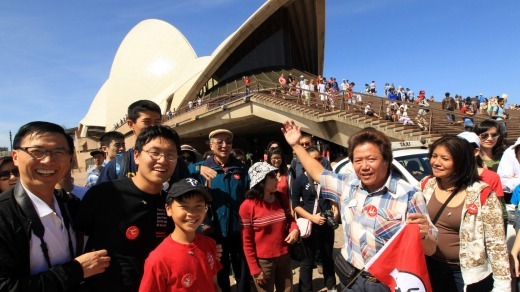 It happened for the first time that there is a record number of Chinese tourists’ visit Australia. The Australian Bureau of Statistics data shows there were 1.39 million Chinese visitors in the year ending February 2018, an increase of 13.2 per cent. With its close proximity and people-to-people ties, New Zealand remains a strong market for Australia, with 1.36 million New Zealand visitors over the year. China has been Australia’s most valuable inbound tourism market since 2011, with the visitors spending a record $10.4 billion in the year ending December 2017. This tourism growth is set to continue with China’s increased prosperity forecast to fuel another trebling of numbers over the next decade to 3.9 million by 2026-2027. The Turnbull Coalition Government has strengthened Australia’s economic, social and cultural ties with China so it comes as no surprise that China’s rise to the number-one spot coincided with the recently completed China-Australia Year of Tourism. The Year of Tourism for Australia marked the close relationship between our two countries. This collaboration is promoting the opportunities to boost two-way travel and celebrating the importance of the China market for Australia’s tourism industry. The 2017 China-Australia Year of Tourism, a landmark open capability aviation agreement with China and significant visa reform, has contributed to this incredible growth. Αναρτήθηκε από geop στις 8:43 π.μ.